Let’s start with an introduction to why I (and a lot of other people) use reference images. 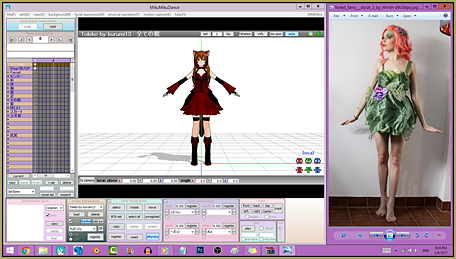 When I first started working with MMD, I had no idea what I was doing and I had a hard time making my models look natural. I discovered that I could use a picture as a reference to help me pose my models. 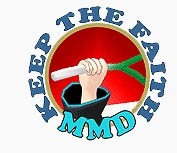 I still use them for guidelines, because no matter how good you are there is always room for improvement. But when you are first starting, this is a great tool to use for yourself so you can feel confident about what you’re doing. 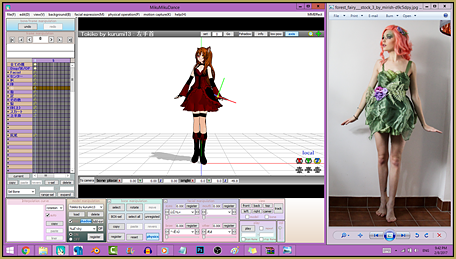 Start with easy poses (like what I chose for this tutorial) and then work up to harder poses. It takes practice and if you don’t start with the easy ones, you may find yourself getting frustrated! Now, obviously your first step is to find some stock images. 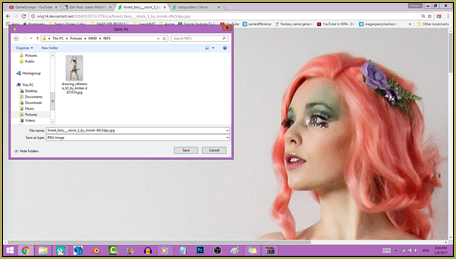 I usually use stock pictures from faestock or Mirish, both users found on deviantART. 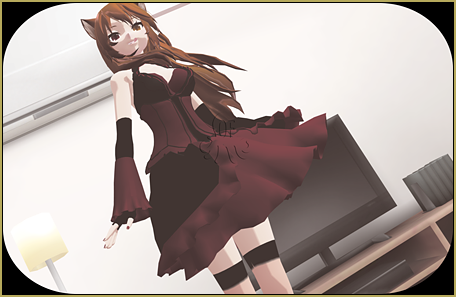 Today I’ll be using Forest Fairy – Stock 3 by Mirish, as well as kurumi13‘s model Tokiko. First thing’s first: save the picture to a folder you’ll remember. 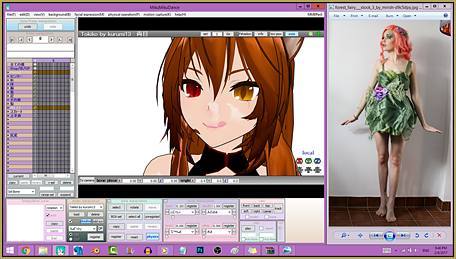 After that, open up MMD and your photo side-by-side. 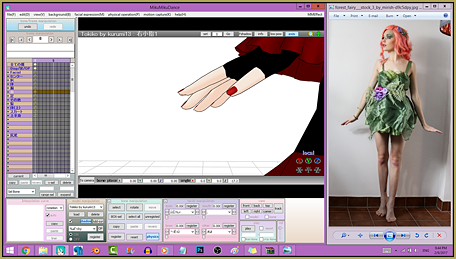 Now try and pose the body to where it looks like the picture. It doesn’t have to be exact and this step may take a little while, but it will work out. Take your time and be as accurate as you want to be. The more often you do it, the easier it will become. 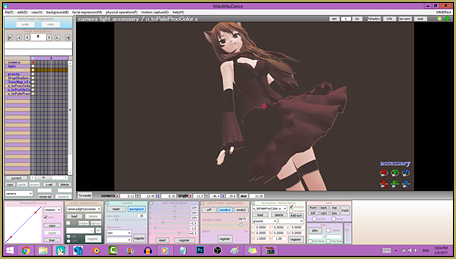 You will find that many MMD models do not have “human” proportions and so you will have to compromise the pose to suit your model’s abilities. 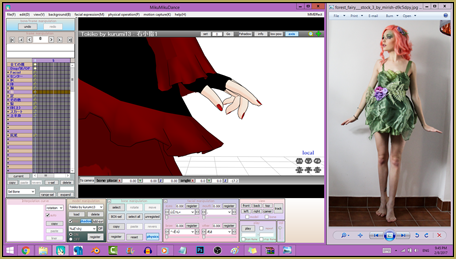 After you have the main body posed, work on the facials and fingers. Make sure these go with the expression that you want, or just as the picture, as you wish. And that’s it! Some poses may be harder than others. A great finger pose pack (which I even used on my left hand) is Reggie’s hand pose pack from our downloads page.